The Punjab University College of Information Technology (PUCIT) took a modest start with the name of Center for Computer Science in 1988. It was established in the Center for Solid State Physics, New Campus. The first program offered was a year-long 2- semester Post Graduate Diploma (PGD) for which 24 students were registered. 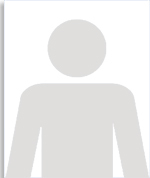 This program has been regularly offered until 2000. In 1991 The Center for Computer Science was upgraded to Department of Computer Science and for the first time a full-fledged 2-year (4-semester) program for M.Sc (Computer Science) was offered. The first ever in-take for the program was 15 students, which gradually in subsequent years was increased to 30. In December 2000 through strenuous and untiring efforts and unflinching zeal of the Vice Chancellor of the Punjab University, Lt. General Arshad Mahmood (R), the Department was further upgraded to a full-fledged College under a new name of the Punjab University College of Information technology. Besides M.Sc program, which already was continuing a new program at the Bachelor’s level, B.Sc (Hons) in Computer Science was offered. It is a 4-year program split into eight equal semesters. 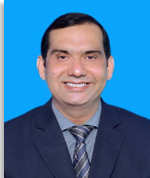 Dr Shoaib briefly took over as a Principal of the College for three months. 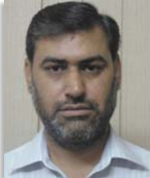 On 18th January 2001 Dr Majid Naeem, took the charge as the new Principal of the College. 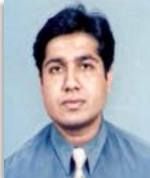 On 11th April 2002 Dr Javaid Sikander Mirza became acting Principal of the College. On 26th August Dr. M.A Pasha took the charge as Principal of PUCIT. 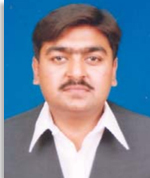 Now these days Dr. Syed Mansoor Sarwar is New permanent Principal of PUCIT. 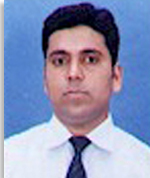 Assistant Professor Mr. Farhan Ch. A. Wali, M.A. Ghazali , S.R. Ayyubi (2008), “Comparative Analysis of Mobile IP and HAWAII”, IMTIC 2008 , Springer-Verlag Communications in Computer and Information Science (CCIS) , 20 :169-179, Springer-Verlag, Berlin, Heidelberg. A. Ahmad, M.A. 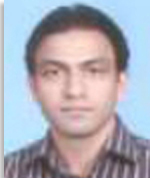 Ghazali (2007), “Documenting Requirements Traceability Information for Small Projects”, In proceedings of the 11 th IEEE International Multitopic Conference (INMIC 2007) , Lahore, Pakistan. U. Ahmad, M.A. Ghazali (2007), “A Pattern Based Persistence Framework for Object Oriented Database Systems”, In proceedings of the 3rd Malaysian Software Engineering Conference (MySEC 2007) , Selangor, Malaysia. F. Lodhi, M.A. Ghazali (2007), “Design of a Simple and Effective Object-to-Relational Mapping Technique”, In proceedings of the 22 nd Annual ACM Symposium on Applied Computing (SAC 2007) , Seoul, South Korea. K. Aziz, S. Sarwar, and S. Aleksic (March 2008). Dimensioning an Optical Packet/Burst Switch – More Interconnections or More Delay Lines?, 12th Conference on Optical Network Design and Modelling (ONDM 2008), Vilanova I la Geltrú, Spain, 129-134. S. Sarwar, H. R. van As, and K. Aziz (December 2007), On a Cut-Off Threshold Delay-Loss System with N Types of Traffic for Overload Protection, 11th IEEE International Multi -topic Conference (INMIC 2007), Lahore, Pakistan, ISBN: 1-4244-1553-5. K. Aziz, H. R. van As, and S. Sarwar (December 2007), Performance of Non-exhaustive Cyclic Service Systems with Finite Queues and Non-zero Switchover Times, 11 th IEEE International Multi-topic Conference (INMIC 2007), Lahore, Pakistan, ISBN: 1-4244-1553-5. S. Sarwar, H. R. van As, and K. Aziz (December 2007), Overload Protection in Packet Communication Systems, 5 th International Workshop on the Frontiers of Information Technology (FIT 2007), Islamabad, Pakistan, 86-98. ISBN: 978-969-8779-16-8. K. Aziz, H. R. van As, and S. Sarwar (November 2007), Switchover Times in Optical Communication System-Can They Always be Ignored?, 4 th International Symposium on High-Capacity Optical Networks and Enabling Technologies (HONET 2007), Dubai, UAE. K. Aziz, S. Sarwar, and S. Aleksic (July 2007), Analytical Model for Performance Evaluation of a Novel Optical Packet/Burst Switch, 9 th International Conference on Transparent Optical Networks (ICTON 2007), Rome, Italy, 92-95. Raja, A., Azad, R. M. A., Flanagan, C., and Ryan, C. (2007a). An evolutionary approach to speech quality estimation. In Frontiers in the Convergence of Bioscience and Information Technologies, 2007. FBIT 2007, pages 757-760, Jeju Island, Korea. IEEE. Raja, A., Azad, R. M. A., Flanagan, C., and Ryan, C. (2007b). Real-time, non-intrusive evaluation of voIP. In Ebner, M., O'Neill, M., Ek_art, A., Vanneschi, L., and Esparcia-Alc_azar, A. I., editors, Proceedings of the 10th European Conference on Genetic Programming, volume 4445 of Lecture Notes in Computer Science, pages 217-228, Valencia, Spain. Springer. Raja, A., Azad, R. M. A., Flanagan, C., and Ryan, C.(2008a). A methodology for deriving voIP equipment impairment factors for a mixed NB/WB context. IEEE Transactions on Multimedia , 10 (6):1046-1058. Raja, A., Azad, R. M. A., Flanagan, C., and Ryan, C.(2008b). VoIP speech quality estimation in a mixed context with genetic programming. In Keijzer, M., Antoniol, G., Congdon, C. B., Deb, K., Doerr, B., Hansen, N., Holmes, J. H., Hornby, G. S., Howard, D., Kennedy, J., Kumar, S., Lobo, F. G., Miller, J. F., Moore, J., Neumann, F., Pelikan, M., Pollack, J., Sastry, K., Stanley, K., Stoica, A., Talbi, E.-G., and Wegener, I., editors, GECCO '08: Proceedings of the 10th annual conference on Genetic and evolutionary computation, pages 1627-1634, Atlanta, GA, USA. ACM. Raja, A. and Flanagan, C. (2008). Real-time, non-intrusive speech quality estimation: A signal-based model. In EuroGP 2008 - Eleventh European conference on Genetic Programming, volume 4971/2008 of Lecture Notes in Computer Science, pages 37-48, Berlin / Heidelberg. Springer. K. P. Shum and M. Akram, (2008) Intuitionistic (T,S)-fuzzy ideals of nearrings , Journal of Algebra and Discrete Structures, 6 (1):37-52. M. Akram, T. A. Cheema and M. S. A. Taj (2008), A parallel algorithm for the inhomogeneous advection equation , International Mathematical Forum , 3 (9-12):463-472. M. Akram and W. A. Dudek, (2008) Intuitionistic fuzzy left k-ideals of semirings, Soft Computing, 12 (5):881-890. M. Akram, (2008) Fuzzy Lie ideals of Lie algebras with interval-valued membership function , Quasigroups and Related Systems, 16 (1):1-12. 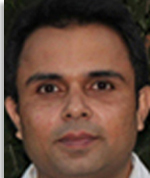 Muhammad Akram, (2008) (epsilon, epsilon v q)-Fuzzy ideals of K-algebras , Ars Combinatoria, 89 :191-204.